High temperature plastics are used in many areas where a combination of low weight with high strength and rigidity, low thermal conductivity, excellent electrical insulation and good vibration damping are demanded. 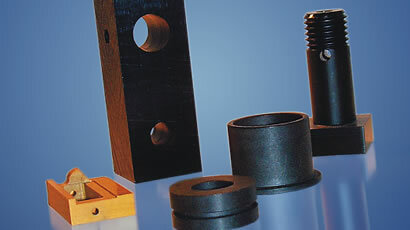 The high temperature loading can be placed on the material from the outside or can occur as a result of frictional heat in the case of sliding applications. ERIKS high temperature plastics cover a range of continuous service temperatures from 150° C to 330° C. Further we have a composite program covering temperature ranges up to 1200°C. Unlike standard plastics, they have dimensional stability, high mechanical strength and good electrical or heat insulating properties.